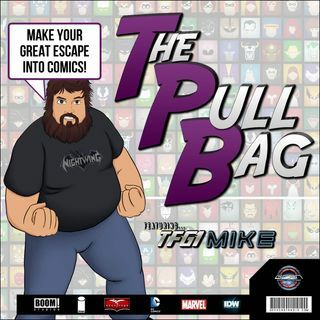 In the 127th episode of The Pull Bag we continue the D4VE series talk, as we cover the four issues that make up IDW's D4VE2! TFG1Mike and BeatlesDiva are back and loving this comic written by Ryan Ferrier with art by Valentin Ramon! So jump inside TPB and go on a robot lovin' journey with us!! And always remember to MAKE YOUR GREAT ESCAPE into Comics!!! !